Although his merits as a roots reggae singer go back to the 70s, Horace Andy has always loved experimenting: he recorded two albums with the British dub master Mad Professor (who also transformed Massive Attacks "Protection" into "No Protection"); for a track on the "Inspiration Information" series by Strut Label he let house master Ashley Beedle work with his voice. And, last but not least, a Black Star Liner remix of his song "Do You Love My Music" which was released by Echo Beach (Select Cuts From Blood & Fire Vol. 3) emerged as an evergreen amongst sound systems across Europe. 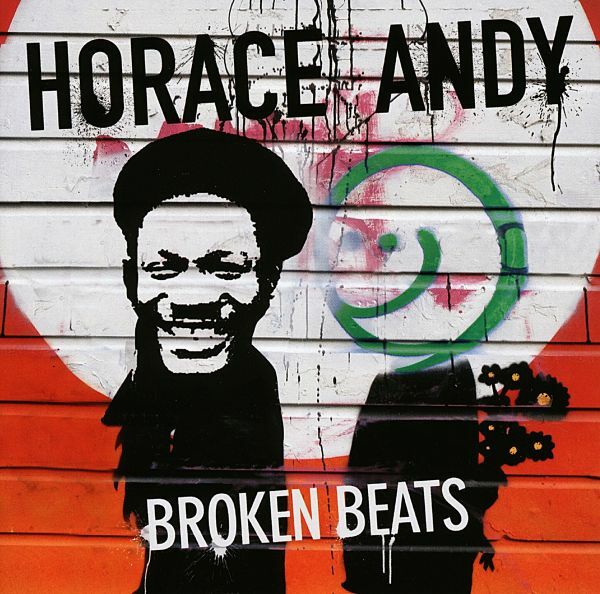 Echo Beach has now picked up on this tradition - and the much older tradition of versioning - by asking friends of the label to rework Horace Andys classic tracks in their own sound outfit. But this time the label hasnt trawled old Studio One tapes for historic vocal snippets - that would sooo nineties; no, Horace Andy personally put in an appearance to sing new versions of his classic tracks on top of timeless and contemporary riddims. Surfer guy from Tenerife doing Canary Islands reggae. The album has a fresh, European reggae/dancehall sound to it with a lot of bass. Dactah Chando is back down on Echo Beach. The daydreaming surfer from the island of Tenerife is up on his board, aiming to make tall waves in the reggae ocean. 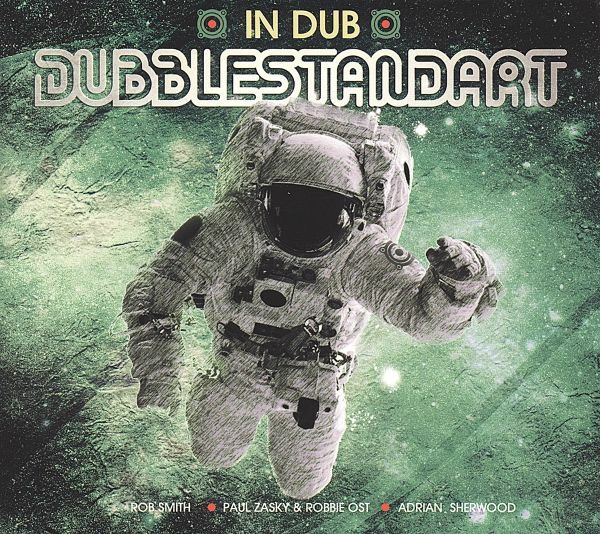 Rob Smith from Bristol/UK is synonymous with progressive modern dancefloor-oriented reggae in all shapes and facets (dubstep, jungle dub, roots dub and drumnass). 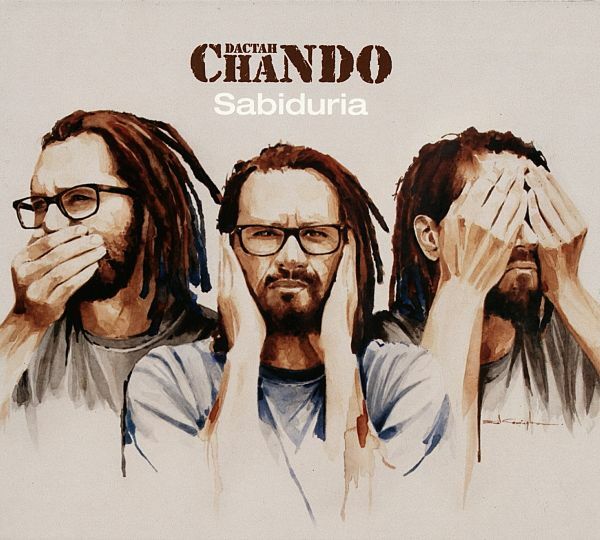 He is renowned for imaginative, lush production; on the new album he takes Chando in a different direction from Clara, the previous album. 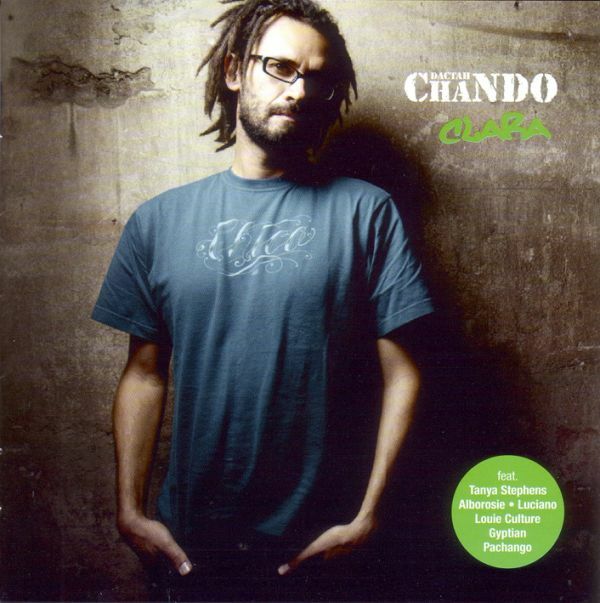 Chando sounds more dynamic, more purposeful; he sets off on musical adventures while remaining as relaxed and focused as ever. 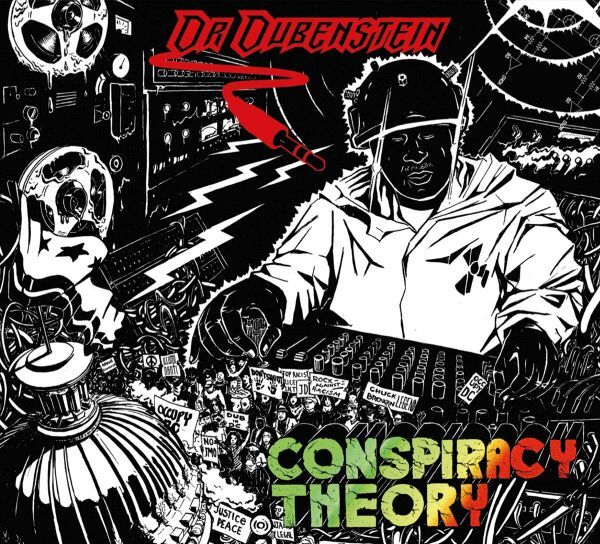 On their debut album, Dr. Dubenstein hit listeners with discourse dub with a conspiratorial touchdown - thus easily garnering themselves the accolade of being one of the most interesting acts of their genre this year. Cushioned by a thick blanket of conspiracy theories, Derrick Parker aka Dr. Dubenstein climbs up out of his misty cave into the dazzling daylight and entrances listeners with a dreamy, sure handed mixture of roots, psychedelic spirit and electronic tinkering that guides us unerringly to an altered state. Its almost like the soundtrack to a new world order - this is cinematic dub by people who really know what theyre doing. The former employee of the legendary RAS Records Labels from Washington DC gathered up some high-carat collaborators to join him in his submarine. Formidable musicians from Steel Pulse, Dub Syndicate, Roots Radics jam and conjure up heavily rolling rhythms - and rumour has it that there were even WAILERS warhorses involved in the project to add some melody. The complex balance between roots and discourse dub is an art that only few have mastered. The track Flabbas I Pad (which refers to Flabba Holt - bassist of the legendary Roots Radics) opens with promising beats and loops that have been given lavish mechanical treatment and which are a sheer joy to hear. In big, spacious arrangements, catchy stoned tunes come zipping around the corner and unite tradition and modernism. Dr. Dubenstein (whose studio is in Washington DC) has delivered a deeply impressive album that sounds like an infinite loop and is simultaneously fresh, new and appealing. The first Christmas album of the year has landed - and it sounds a lot like dub. Last Christmas seems only moments away, but that hasnt stopped these four doughty Swiss musicians from decking the halls in their studio, getting the bass speakers to rumble and the loops to trill. In dulci dub jubilo! 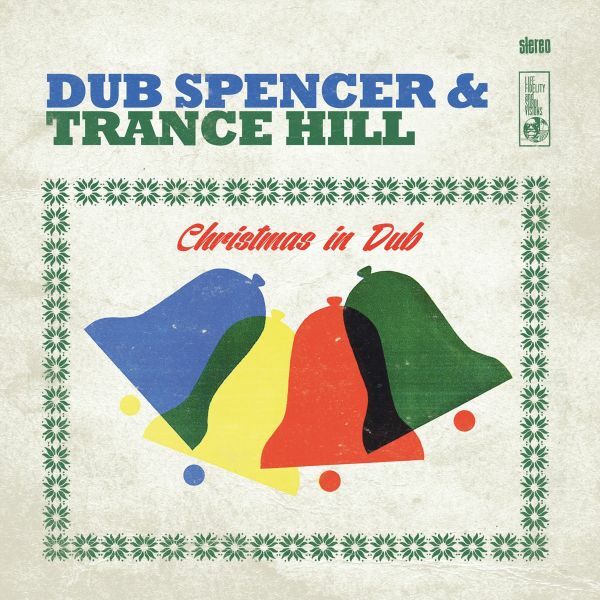 In their low-slung reindeer racing sleigh, DUB SPENCER & TRANCE HILL glide through the night of nights with twelve box-fresh cover versions pumping through their speakers, utterly unafraid of overworking a cliche. On the new album DEEP DIVE DUB the band dives deeper than Jaques Piccards team during their record-breaking dive in Trieste in the sixties. The focus of this repetition is the fusion of reggae, even though, instead of the lightness that is usually inherent in reggae, the album focuses on heavy grooves, grooves that drift off into fat, dark, mature places. With a hypnotic power, the musicians - all of whom are trained jazz instrumentalists - dive into a world of Space-Rock-Dub-Electro. On a couple of the tracks the band invited the Lucerne-based experimental vocalist Bruno Amstad (who has previously worked with John Zorn and Phil Minton) to contribute.Neither a slave to the great Jamaican heroes of the seventies nor lost in the great wide world of electronic dub - DS & TH tread their own path, reducing and abstracting as they dive deeper and deeper. 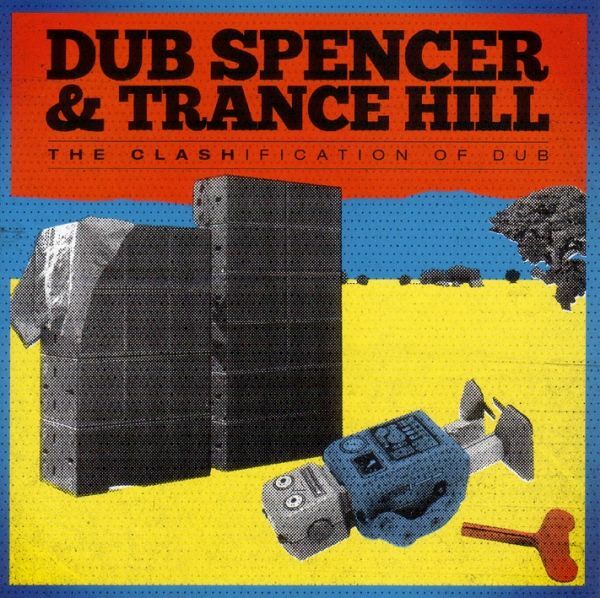 Irony is the sword of the disenfranchised... and so DUB SPENCER & TRANCE HILL will continue to roll on - like the film duo they borrowed their name from - over the sliders and knobs of the mixing desks of this world! Ever since the Swiss musicians ushered in the return of the Spaghetti Western to the world of dub with their debut album "Nitro", they have impressed the press and audiences alike with their passion for playing, their sure instinct for sounds, their equally humorous and respectful dubification of popular hits (including Metallicas Enter Sandman) and their immense technical skill. Riddim heard "a new sound-sphere where typical fat, stoic dub beats contrast with hand-played instruments and experimental sounds". Jazzthetik praised the "fantastically tight band, formidable interior dynamic and supremely competent mixdowns". Jazzthing wrote that "their psychedelic dub sound, which is occasionally interspersed by western guitar riffs and true rock solos, sounds wonderfully acoustic and analogue." And The Wire had to admit that "it sounds cheesy and it shouldnt work, but it does. "Since their debut album the band have released five more studio albums, including the Clash tribute album "The Clashification of Dub", plus a live album and a remix compilation with selective dubs by Victor Rice from Sao Paulo/Brazil.Their new album celebrates William S. Burroughs and pays tribute to this centenary, marking a new pop-cultural highlight in their work. With the official support and assistance of the William S. Burroughs Foundation in the United States, the band has succeeded in creating a heavy ambience masterpiece in 15 chapters. 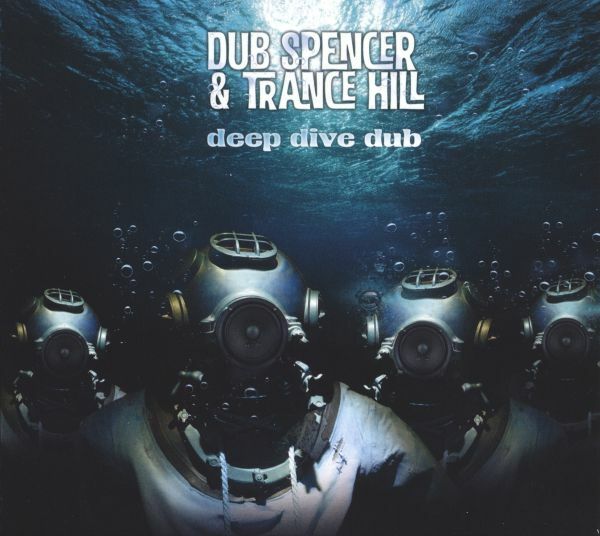 Dub Spencer & Trance Hill, Switzerlands dub heroes have teamed up on this new project with Umberto Echo, one of the most sought-after dub remixers this side of the English Channel. It is no exaggeration to say that this meeting of minds is for continental Europe what "Scientist meets Roots Radics" was for Jamaica and "Massive Attack vs Mad Professor" was for England: an alliance too big to fail. In October 2014, Lincoln Valentine Style Scott was murdered in his house in Manchester, Jamaica. He was 58 years old. At that tim he had just finished his work on "Hard Food", the first album released by his Dub Syndicate since "No Bed of Roses" in 2004. 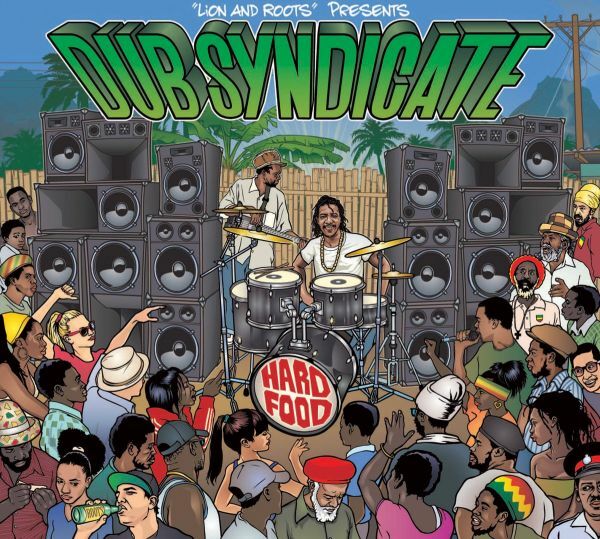 Dub Syndicates first studio album for eleven years, an event that was to be a joyous celebration with friends, has now become Style Scotts legacy. NOW, almost exactly one year after his death - the new dub scene of Europe will tribute to this legendary drummer. 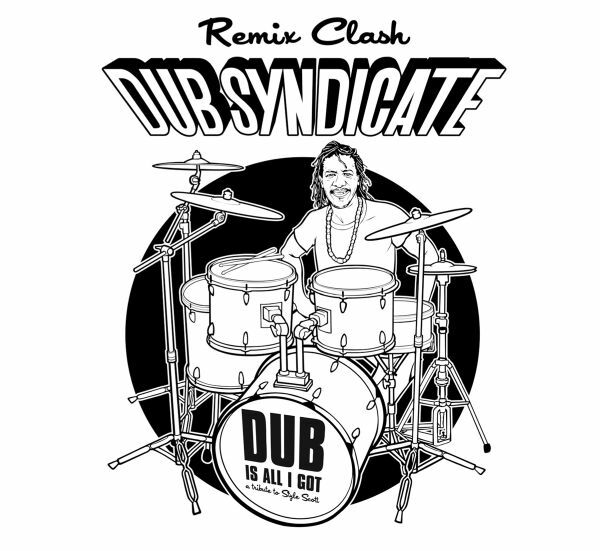 The trademarking song "DUB IS ALL I GOT" will appear in 14 different version and excursion as a kind of REMIX Clash. A fascinating and splending bass experience and in the very sensitive way the remixers and admirers paid tribute for is more than excellent. !With Style Scott the reggae world, and indeed the entire world, has lost one of its best drummers. His unexpected, tragic death is devastating for his friends and family, to whom we express our deepest sympathy. At the same time, Styles music - both sounds and lyrics - reveal that his life was rich in warmth and harmony. His death has made our lives poorer. As a ,Special" bonus ( exclusiv on CD) you can find the singletunes of Style Scotts DRUMs as well as the Bass by Flabba Holt for doing your own remix - as a tribute to Sty Scott. It became a tradition for Style Scott to record the riddims in Jamaica with Flabba Holt and then add overdubs and mix the tracks in London with Adrian Sherwood. And that is precisely how the present album, which has tragically become his farewell, was recorded: Lee Perry mumbles his unmistakable incantations on "Jah Wise" in a dialogue with Sangie from the Wailerss circle. 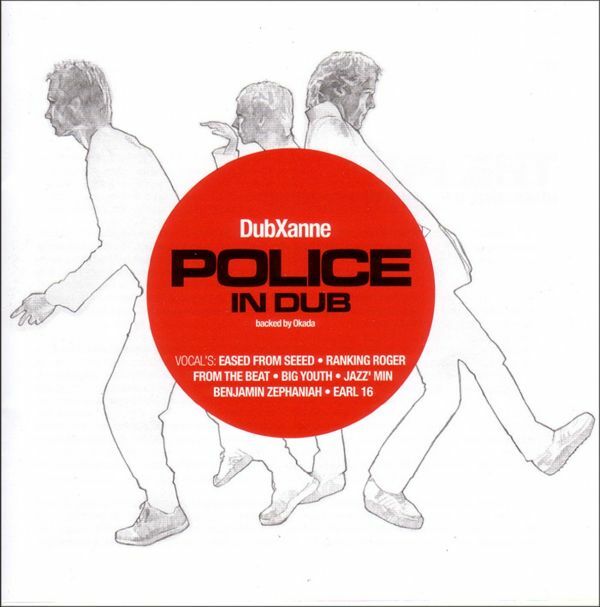 Other vocal highlights include Styles old brother-in-arms, Bunny Wailer ("Bless My Soul") and DJ legend U-Roy, who over Style and Flabbas legendary "Police in Helicopter" riddim admits "Dub Is All I Got". And then theres Magma, who impishly warns the ladies "Love Is Coming At You". The instrumentals on "Hard Food" are equally delectable: in the opening track "Sound Collision" weird synth sounds and ricocheting echoes literally collide with Dub Syndicates trademark sound; "Gypsy Magic" is characterised by the sound of a violin, Ivan "Celloman" Husseys riff drives the equally melodious "Addis Ababa" and the album closes with three instrumental versions from Adrian Sherwoods studio, which supplied all the dubs and overdubs. With Style Scott the reggae world, and indeed the entire world, has lost one of its best drummers. As "No Bed of Roses" and the album title "Hard Food" indicates, life wasnt always easy for Style Scott. His unexpected, tragic death is devastating for his friends and family, to whom we express our deepest sympathy. At the same time, Styles music - both sounds and lyrics - reveal that his life was rich in warmth and harmony. His death has made our lives poorer. they have already issued over ten albums, collaborating with Ken Boothe, Sly & Robbie, Mad Professor, Marcia Griffiths, Chezere, Caron Wheeler (Soul To Soul) all the while working new technological dimensions into their sound, and although they have undertaken a dub tour of the US west coast, Canada, India, Russia it is fair to say that the band is worthy of a broader audience.Dubblestandarts cavernous excursion into deep dub, chilling dub and dubble-tough dub will into perfection at DUB REALISTC. 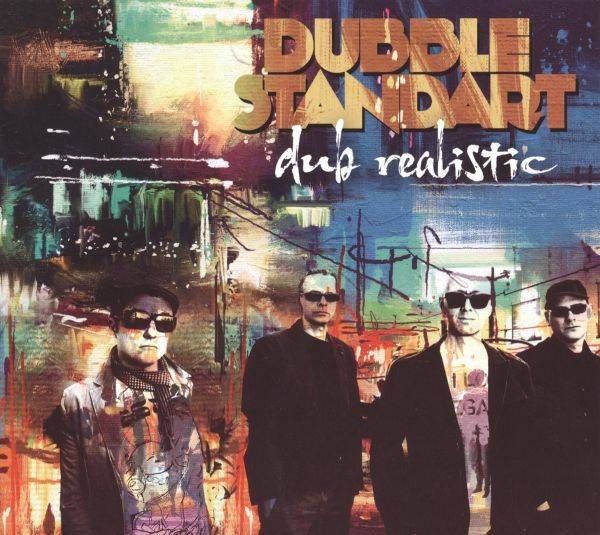 Dubblestandarts handling of this mission has been exemplary: the productions are pleasingly individualistic, retaining plenty of originality and professionalism without seeming stoic, dull or contrived.Watch this space to see where Dubblestandarts dub realistc is blasting from the art of state...Opening DUBREALISTIC with a slowed down adaption of Massive Attacks massive hit "Safe From Harm" presents Amanda Bauman going deeper, followed by a journey into the Middle East(Arab Dub) & further examples of how we, as musicians, digest the world around us (Earthshaker). Populistic tendences at home (Welcome To Europe) or "effects"of the refugee crisis (The Boat Stops) triggering questions: What is the role of us as artists (Not Controlled by the Artist) and how do we contribute in a positive way? From Kingston/ Jamaica Reggae & Soul singer Tanice Morris appears on, Let It Flow" & Dub version & from Cairo/Egypt Aisha E dubbing on Bob Marleys Sun Is Shining. Adrian Sherwood, Rob Smith, Paul Zasky & Robbie OST. Limited to 999 copies, 6 panel digipack numbered edition! "Its a new concept you have to get used to: the best dub and dub-oriented reggae no longer comes from England or France (and not from Germany or even Jamaica). It comes from - Canada! 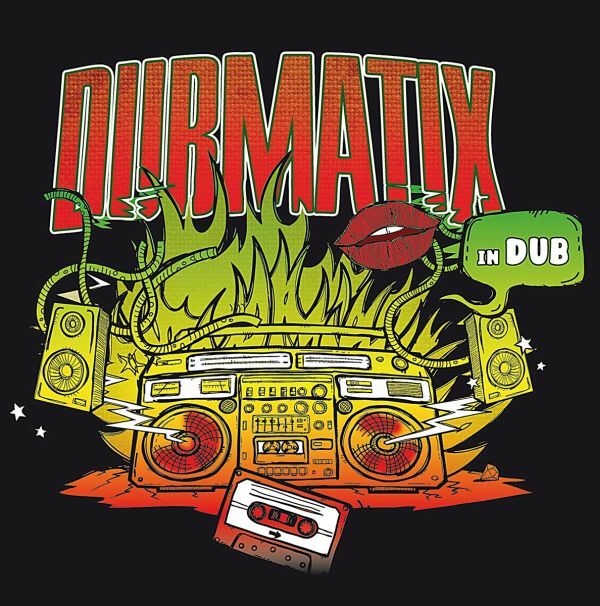 This is where the genres busiest, most talented and possibly cleverest producer hails from: Dubmatix. Not only a studio virtuoso, but also an incredibly profound artist and perfectionist whose sure-fire instinct for the ultimate groove productions defines the current state of the art in the genre", wrote Ren Wynands in Riddim-Mag (Nov/Dec 2013). Theres not much we can add to that. 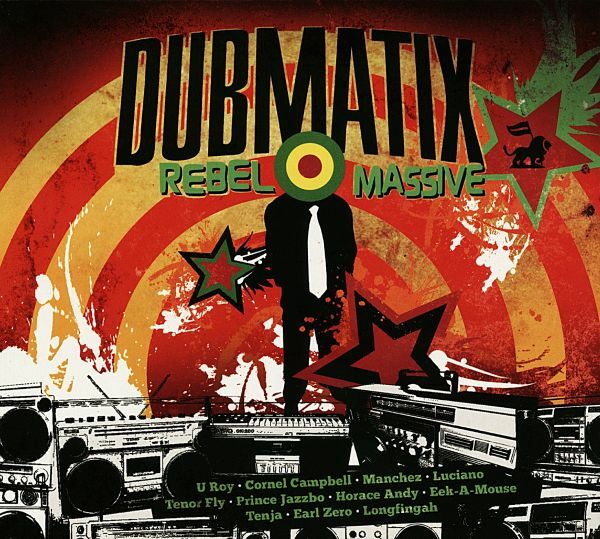 With his debut album Champion Soundclash (2005), and a total of 7 albums and a mind-blowing number of digital releases and remixes, Jesse King aka Dubmatix has conquered the world of dub and reggae. In everything he does he reveals a fine instinct for intricate and supremely skillful compositions full of unexpected twists and turns. Dubmatix has the power to surprise, not by using volume or of-the-moment gimmicks, but through clever, occasionally low-key but always absolutely compelling skills. His previous albums featured a whole array of illustrious guests, including U-Roy, Cornel Campbell, Horace Andy and Michael Rose, with the instrumental dub tracks taking a back seat. This is set to change on Dubmatix In Dub, the new album.12 pounding dubs merge seamlessly into each other. 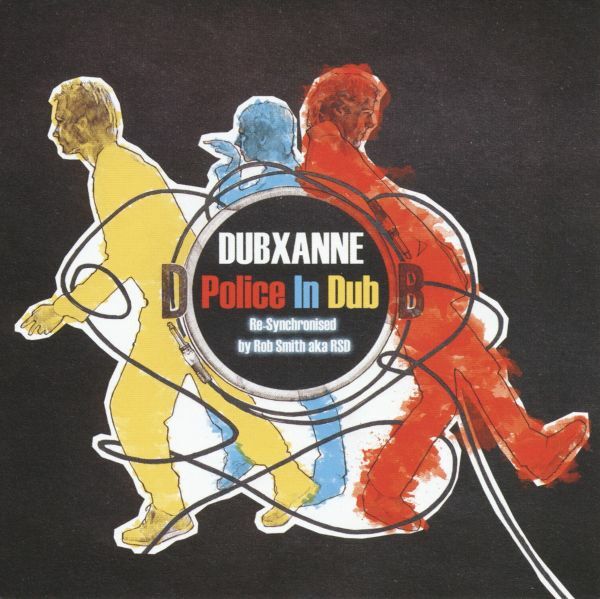 All are ideal for bringing the dancefloors of the dub universe to boiling point. Heavy bass for heavy dancing! 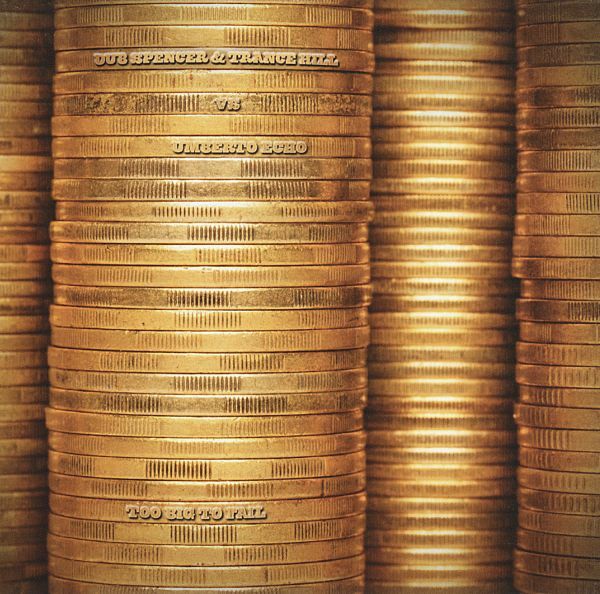 Dubmatix uses effects with masterful efficiency - never overloaded, always absolutely on target. Any voices that appear (the album features Earl 16 and Dennis Alcapone as guests) are deconstructed and integrated as elements in the mix. 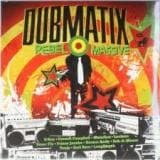 Although this album works as a seamless whole, check out Mad Massa Gana Dub and 16 Stone Dub to get a sense of the album. Jesse King aka Dubmatix is a dub mastermind from Canada. His albums "Champion Sound Clash" (2005), "Atomic Subsonic" (2006), "Renegade Rocker" (2008), "System Shakedown" (2010) and "System Shakedown Remixes" (2011) hit the spot worldwide and shook up the reggae massives all over the planet. Dubmatix is continually evolving his style, taking new influences on board on each new recording; by now it simply doesnt do justice to the incredible breadth of his work to slap a dub sticker on it. His new and fifth album feature an impressive roster of respected guest stars, including Tenor Fly, Horace Andy, Eek A Mouse, Prince Jazzbo, Earl Zero, U-Roy, Cornell Campbell, Luciano and many, many more. 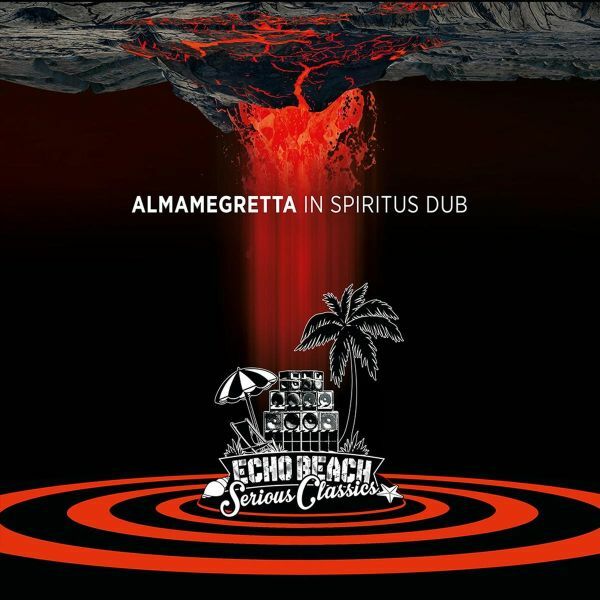 These collaborations see him effortlessly incorporating all conceivable facets of reggae and dub with a striking self-assurance and combining them with an exceptional willingness to experiment and take new directions. This kaleidoscope of variety is particularly in force of his upcoming brand new album. As well as working as a musician and producer, Jesse King is also a sought-after remixer and app designer, with recent remixes including tracks for the Easy Star All-Stars, John Brown's Body, Zion Train, Martha & The Muffins, Don Letts and Mungos HiFi.For his new album he spent 2 years in the past and a lot of time in tweaking the knobs on high class Roots Tunes inna crossover style.! This here new version is strictly limited to 300 copies. It does not contain the former two bonus CDs. Its just a black vinyl release for a lower price (that is, a standard vinyl price). It comes with a new barcode (4015698021431) and a new Indigo article number (LP 166591), but the Echo Beach label number on the cover and LP remains the original EB067LP. TRACKLISTING: 01. Marimba Concertino "the Wave" 02. Suite Nr. 5 C-moll Fuer Violoncello,bwv 1011 2. Allemande 03. Praeludium In C-moll,bwv 999 04. Ultimatum Ii 05. Afrock 06. Ghanaia 07. Don't Let The Bed Bugs Bite! On this, the bands third album, the focus is again firmly on an amalgamation of reggae with the genres elementary electronic facets. iLLBiLLY HiTEC grab reggae by the roots in their inimitable way and build a varied cocktail of roots, digital, hip hop and dub.For Kinetical, the Berlin-based band managed to lure the spearhead of Austrian MC culture as lead vocalist. 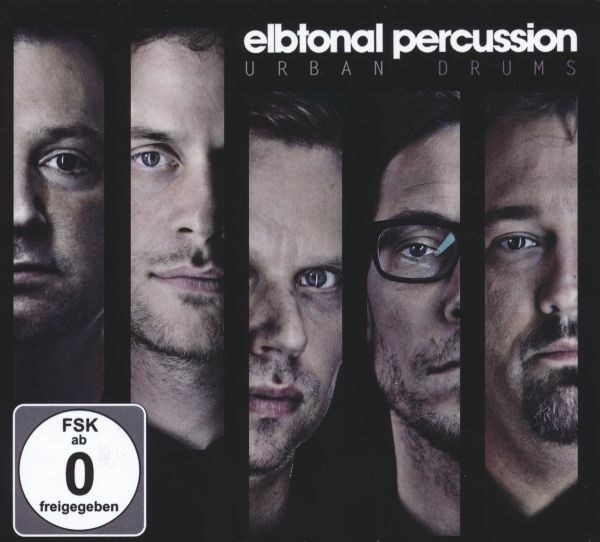 There are also many guests, including Lengualerta (MX), Horseman (UK), Promoe (S), Gardna (UK) and Parly B (UK) from the international scene, all of whom contributed fantastically skilled flows to the album. "One Thing Leads To Another" is a mature album that is fully deserves a place in the higherinternational echelons. 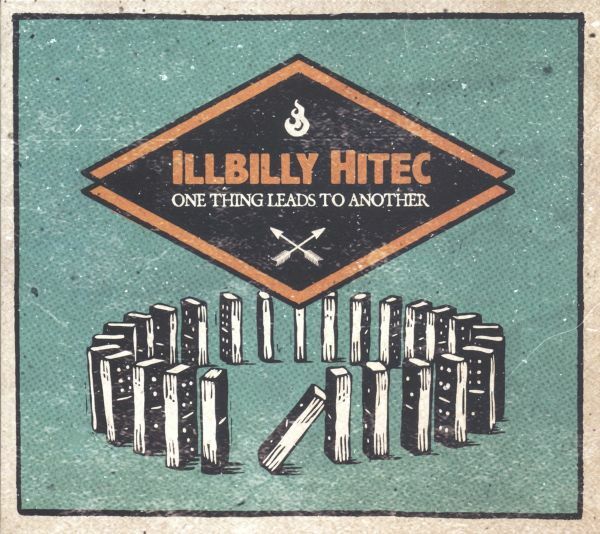 iLLBiLLY HiTEC is a Berlin based band they started tweeking the knobs and experimenting with LIVE drum/ LIVE Vocals performances in 2010. They juice up reggae, electronics and blending influences of dub, breakbeat, hiphop and jungle.Live drums, electronic sounds, heavy offbeats and selected samples chosen from reggae classics team up with live vocals, to create a one of its kind performance. Their first EP "BadBoyBass", a few vinyl releases and growing feedback on their concerts in Europe, India, Mexico, Japan, Indonesia etc. 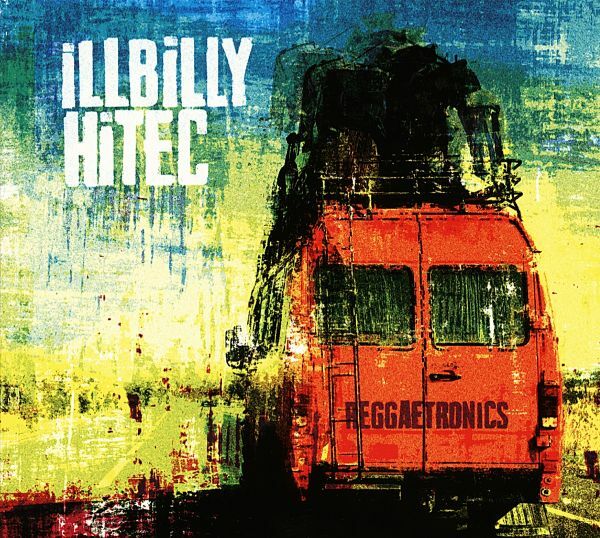 made iLLBiLLY HiTEC become the most interesting newcomer of its genre from Germany. Even SEEED, the biggest name on the german reggae market, just picked their style for a remix of the latest single "Augenbling". Their new album, released under the BAD BRAINS IN DUB moniker, celebrates the reggae and dub side of the BAD BRAINS and pays tribute to this important aspect of the BAD BRAINS musical and cultural legacy. 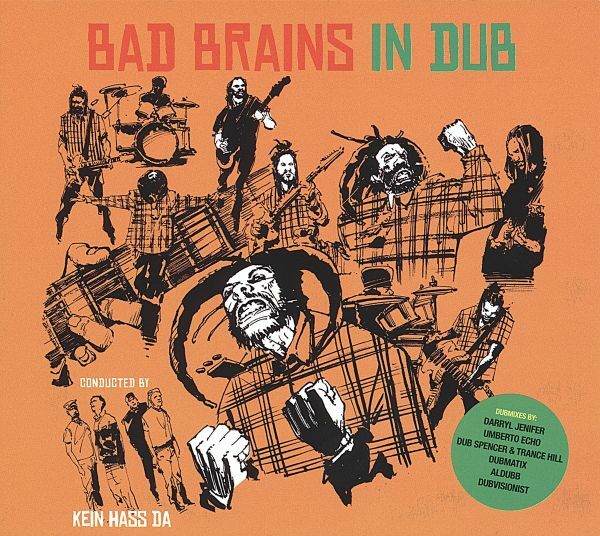 With the official support and assistance of the Bad Brains management in the United States, KEIN HASS DA in combination with top class dub and reggae remixers, including Bad Brains very own Darryl Jenifer, has succeeded in creating a heavy masterpiece in 13 chapters. Drenched in echo, the sounds in this dub treatment contravene the rules of space and time.